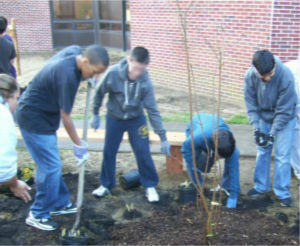 Students at Toms River Intermediate School North gather together to create a beautiful Outdoor Classroom for their school. 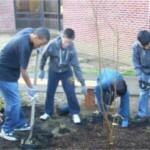 Outdoor Classrooms provide a variety of resources for educators of classes of all different age groups and fields. 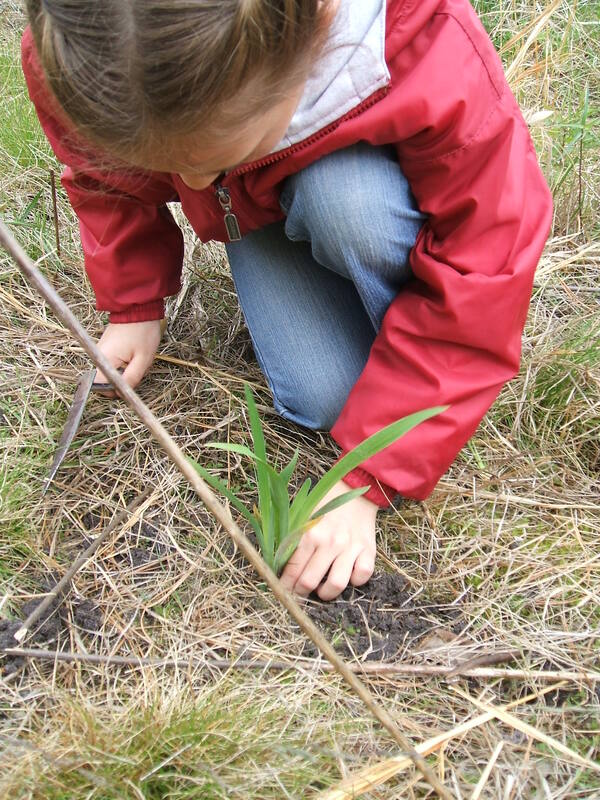 Teachers who plant gardens with their students are able to incorporate lessons in science, health, math, geography and many other subjects while enhancing collaboration among their students and fostering a sense of commitment. Furthermore, the opportunity for students to simply be outside has been proven to boost the overall morale of a person, thus resulting in better grades and demeanor in general. The Ocean County Soil Conservation District has worked with various partners to develop the Outdoor Classroom Development Program, which has so far been successful in creating over 25 Outdoor Classrooms at Ocean County Schools. This program works to not only have students plant and develop their own rain garden, but trains educators as well to integrate the use of the outdoors into their curriculum for years to come. Since its inception in 1996, the program has been awarded over $14,500 in grants to improve 28 Ocean County Schools. For more information about rain gardens, visit our “Rain Garden Resources” page.